This size can expose or cover (with its diffuser) a whole human as a subject of photography. Its good for those that are into whole body portraiture. 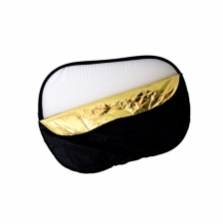 5 in 1 Reflector Set size 102cm x 168cm that comes with 5 colors: White, Gold, Silver, Black and Translucent. This is a wide type of reflector that enables wider and longer coverage without blocking the view of photographer (especially when shooting in a group) compared to round reflector with similar coverage. Reflector is an essential tool in professional photography. It helps the photographer to create professional lighting effect without sophisticated tools like off camera flash trigger. This set comes with 5 colors for you to choose from. 5 different colors give out 5 different effects in different shooting scenarios. Black: To eliminate reflections from reflective surface (for eg glass). 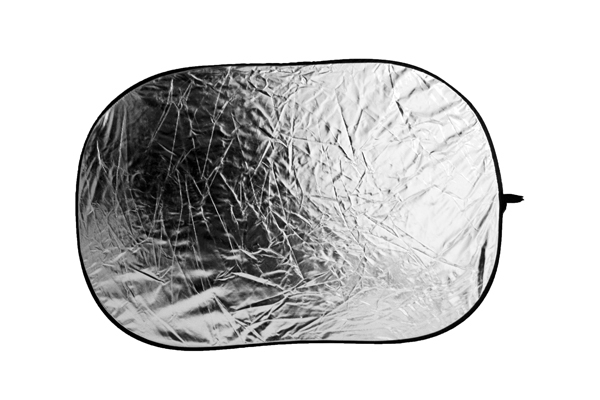 Can use it to shield off light source that creates harsh reflections.